Efficient Steam & Dry Carpet Cleaning Northolt UB5 | RDA Cleaning & Maintenance Ltd.
To ensure your safety and the best results possible, we keep a high standard of home & business carpet cleaning Northolt UB5 and a good work ethic for all of our cleaners. It is mandatory that they pass 3 months training by Prochem on steam & dry carpet cleaning methods, machine and detergent use. During their first 6 months with us they are accompanied with a senior cleaner who would show them all it needs to become a cleaning expert. Once the job is carried out, they would give you free maintenance advice. 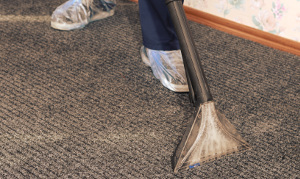 Our professional carpet cleaners in Northolt UB5 can work with a wide range of carpet fibers and materials, both natural and synthetic and even blends. We can safely clean: wool, sisal, cotton, silk, Kashmir, Persian, Indian and any synthetic type out there. Book Our Proficient Carpet Cleaning Northolt UB5 Now! So if you wish the services a team of professional carpet cleaners in Northolt UB5 that will fully remove all carpet stains & unpleasant smell, then call 020 3404 1646 or use our online booking form and we will be on our way ASAP. RDA Cleaning & Maintenance Ltd. - quality carpet cleaning at irresistible price!